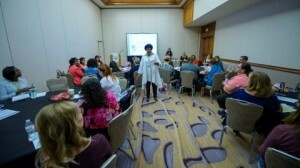 The National Center for Families Learning (NCFL) seeks high-quality, energetic, and engaging presentations for our 2018 Families Learning Conference, September 24-26, in Ft. Lauderdale, Florida. NCFL invites you to submit your presentation proposal by Thursday, March 1, 2018. 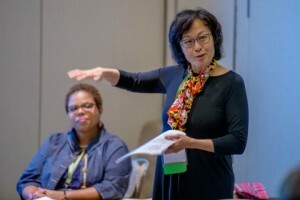 To maximize your chance of selection to present, please submit a proposal that meets one of our focused educational strands: Adult Education, American Indian/Alaskan Native, Early Childhood Education, English Learners, Research and Policy, and Two-Generation Learning. Target your proposal toward educators, family practitioners, family literacy and family learning program staff, school administrators, library staff, and/or community leaders. Click for more detailed information about the proposal submission. This Call for Proposals submission is due by 11:59 PM EST on Thursday, March 1, 2018. Each presentation session will be one hour and fifteen minutes in length. You will be notified no later than Monday, April 16, 2018, regarding the status of your proposal. Please do not submit proposals that feature commercially available products.